Uglyworld #80 - Thirsty Jeero, originally uploaded by www.bazpics.com. 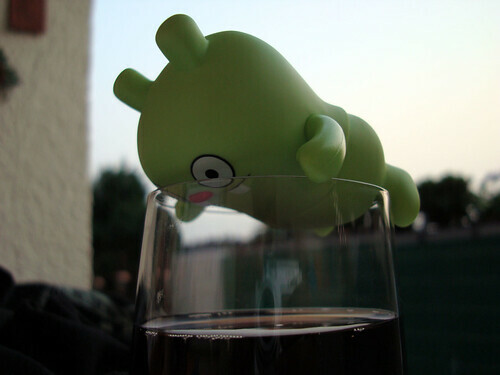 I had only just managed to chase Icebat away from my glass of Coke when I returned to find Jeero in this position - all he had to do was tell me he was thirsty and he would have had a glass all of his own, but oh no, he'd much rather try and be sneaky. He was sent to bed early as we're up at 5am tomorrow to start our travels to Marburg.